Anyone who follows Erica on Twitter or Facebook will know about her love of knitting and creating nwe designs. 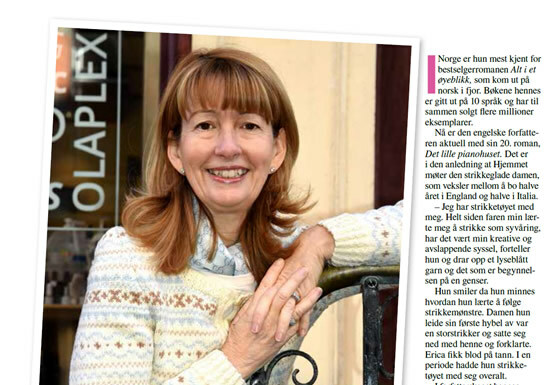 Here’s an article in the Norwegian magazine, Hjemmet, about Erica and her writing, and her love of knitting. View a pdf of the full article here.